Bruyneel names Radio Shack long list for Tour. What, no Hollywood? Radio Shack without star power? Spanish website and Johan Bruyneel mind reader Biciciclismo.com has listed the Shack riders on the long list for this years’ Tour de France. There are no surprises — Kloden, Leiphiemer, Horner, Zubeldia and that immensely famous Texan who does well in the long stage race held in France in July. What’s his name — Larry, Lucas, Leroy? No, that guy Lance Armstrong. Sorry, we had a momentary twitter blackout. With Vegas, the odds go up. The startling omission was no celebrities or Hollywood types for the Shack tour armada. Previous tours have included Ben Stiller and Robin Williams to keep the team psychologically loose. Brought on for her evocative country western music, Sheryl Crow was a powerful addition to the 2005 squad. Jake Gyllenhaal has coached Armstrong on “method cycling,” as a way to get deeper into his yellow jersey character. Johan Bruyneel have always been proactive on getting whoever they think will give them an edge — and Hollywood is the mother-lode of star power and motivation. So who are the stars Armstrong will invite to Le Shack for the Tour de France? The rumors circulating at this time have the Texan amping up the mind games with Alberto Contador. This is psychological warfare and Armstrong is going with the heavy guns on the A-list. He’s already stripped the Astana roster bare, now he’s about to attack Contador closer to home. The plan is to bring in top Spanish celebrities this year to root for Lance and by implication to critically undermine the support for Contador in his own country. Actresses Paz Vegas and superstar Penelope Cruz have indicated they might be joining Lance on the Shack bus. 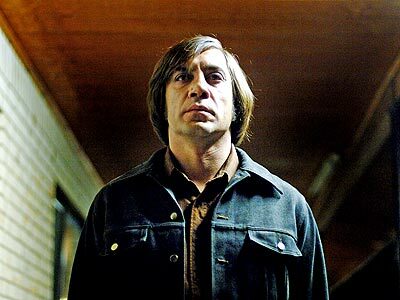 Spanish actor Javier Bardem will apparently fly in and reprise his role as the homicidal killer in No Country For Old Men. An informed source says Bardem will take a position outside the Astana bus in an attempt to unhinge El Pistelero. And Soccer star Fernando Torrez had already agreed to kick a few balls with Armstrong on the rest day. Lance Armstrong always brings the strongest team to the Tour de France and Hollywood plays a decisive role. This year it’s El Hollywood. « Passage du Gois back for 2011 Tour de France. Bring the Speedo suit.